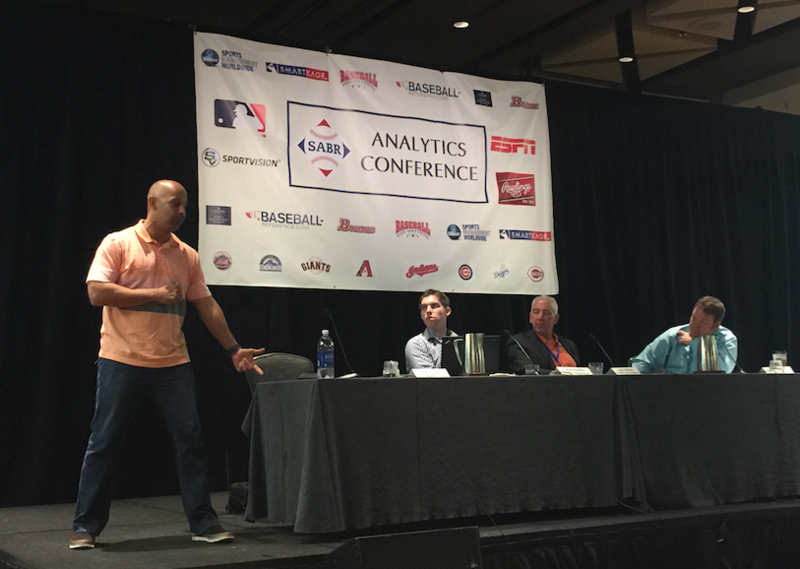 At the 2016 SABR Analytics Conference on March 12, 2016, our Defensive Metrics Panel discussed how the art of fielding and evaluating defense have changed thanks to modern analysis. The panel included former major-league infielder Alex Cora, now an ESPN analyst; John Dewan, owner of Baseball Info Solutions; Caleb Peiffer, Manager of Baseball Operations for the Seattle Mariners; and moderator Mike Ferrin of the Arizona Diamondbacks and MLB Network Radio. This page was last updated March 19, 2016 at 4:35 pm MST.